Curious how I got started with blogging and content marketing? 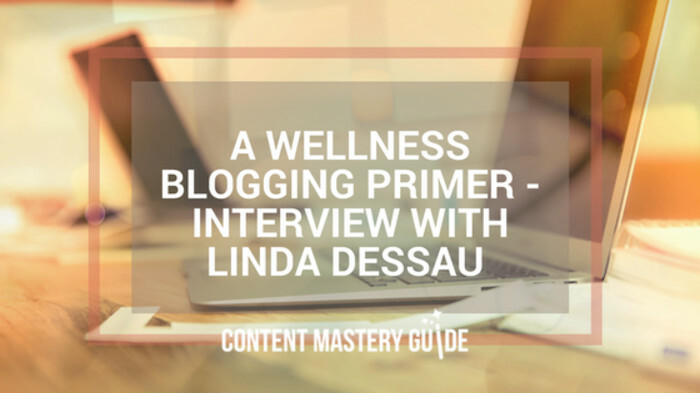 Wondering about the biggest blogging mistakes I see from wellness professionals? RM: What are some of the specific challenges facing wellness professionals when handling the marketing side of their business? The antidote for this kind of self-doubt is to find a blogging buddy, writing group or blog editor who can remind you that none of us are perfect, and who can look over your work to give you an outside perspective and catch any pesky typos or writing errors. RM: What are the most common mistakes you see your clients making with their online writing efforts? What should they be doing differently? LD: The biggest blogging mistake you can make is to start and then stop. Once people see a blog on your site, they’ll notice if it hasn’t been updated or you only seem to post haphazardly. They’ll wonder if that’s how you do everything in your business. Instead, set yourself a realistic blogging schedule like once a month, and then carve out a little time each day to work towards that. Read the entire interview on the Response Mine Health blog. P.S. If you liked my tips in this interview, you might enjoy the Blogging Tips newsletter, delivered weekly to your inbox! Sign up here.